Since the launch of Open Gardens Victoria in September 2015 garden lovers have flocked to almost 100 gardens throughout the state. Each season we arrange special events and open a collection of diverse gardens ranging from designer to owner grown and maintained, huge to tiny, rural to metropolitan, eclectic and quirky, and everything in between! Some openings feel like a garden party, others provide insights into plant selection for local conditions and many give the gardening public great and inspiring ideas. 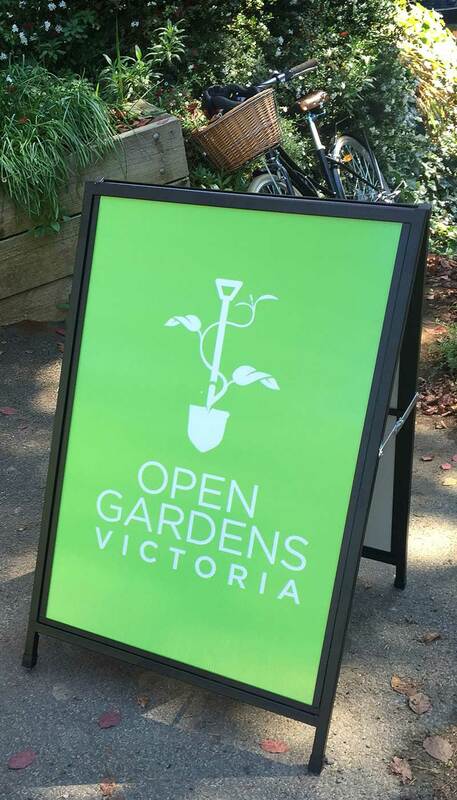 We thank our wonderful garden owners who put their heart and soul into preparing their gardens for an opening and to the many volunteers who make the openings and indeed, the very existence of Open Gardens Victoria possible. It's not all about gardens! OGV offers a variety of events each season and the 2018/19 calendar is full and varied. We have very special events planned, as well as the carefully selected garden openings. We look forward to enhancing your whole garden experience again this year with some of the gardens offering extra activities for you to enjoy such as plant sales, garden talks, artists’ studios to wander through, garden art sales, morning and afternoon Devonshire teas, and who can resist a sausage sizzle? Each year we bring you some topical, informative talks with a range of excellent speakers sharing information from their particular area of expertise. We will be arranging coach tours, both metropolitan and rural and again this year we look forward to hosting some exciting workshops that are always popular. These are just some of the fantastic events being planned for the 2018/19 calendar. Keep checking What’s On as it is regularly updated. We are excited about our 2018/19 program and we know that you will be too! Details of the many new garden openings and events are now online. Keep checking the What’s On tab on this website for updates. Our 2019 program planning is well under way and details will filter through to What’s On over the coming weeks. Do you receive our very informative newsletters? It’s another great way to stay informed and be involved. Go to the Contact Us tab on this website and let us know that you would like your name added to our data base. We also encourage you to keep looking at our website for the latest information in case a garden is forced to reschedule. Last year torrential rain forced postponement of a few openings and the threat of fire is sometimes an issue in the warmer months. Like to enjoy the benefits of being a Friend of Open Gardens Victoria? Find out how on the Friends tab on this website. There are many ways in which to become a valued member of the Open Gardens Victoria organisation. Perhaps you would enjoy belonging to a sub committee. There is always room for more positive input on the Marketing/Communications committee, the Events committee, the Friends committee, etc. Would you like to join our selectors in sourcing gardens for our openings? Would you like to volunteer some of your time assisting garden owners at openings, on the gate, perhaps manning the plant stall, welcoming garden visitors, delivering refreshments to other volunteers, directing visitors away from hazards or helping out in the car park? Volunteers at openings receive free entry and the opportunity to enjoy a garden at leisure outside rostered shift times. Don't forget - volunteers are happier, healthier and sleep better! Whether you are a garden owner, visitor, sub committee member, selector, friend or volunteer, or have the potential or desire to be any of the above, we encourage you to get involved. Being an active participant in this now well established and growing organisation is a rewarding and fulfilling experience. Follow us on Facebook and Instagram. Please contact us with suggestions or queries, or if you would like further information about OGV! We look forward to having you all as part of our community.